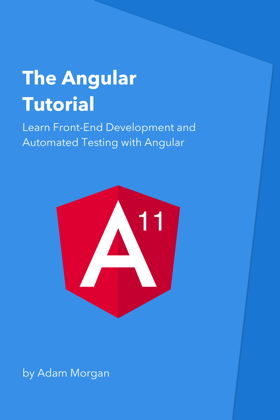 The Angular Tutorial teaches you how to develop, test, and deploy a modern front-end web application using the Angular framework. Adam was kind enough to let me have early access to this book while he was writing it. The advice and techniques in this book landed me my dream job and literally doubled my salary. Well worth the $99 bucks, so much so that I have been waiting for it to be for sale just to pay the man for the good he has done to my career. Thanks Adam! Hope this book helps others as much as it helped me!